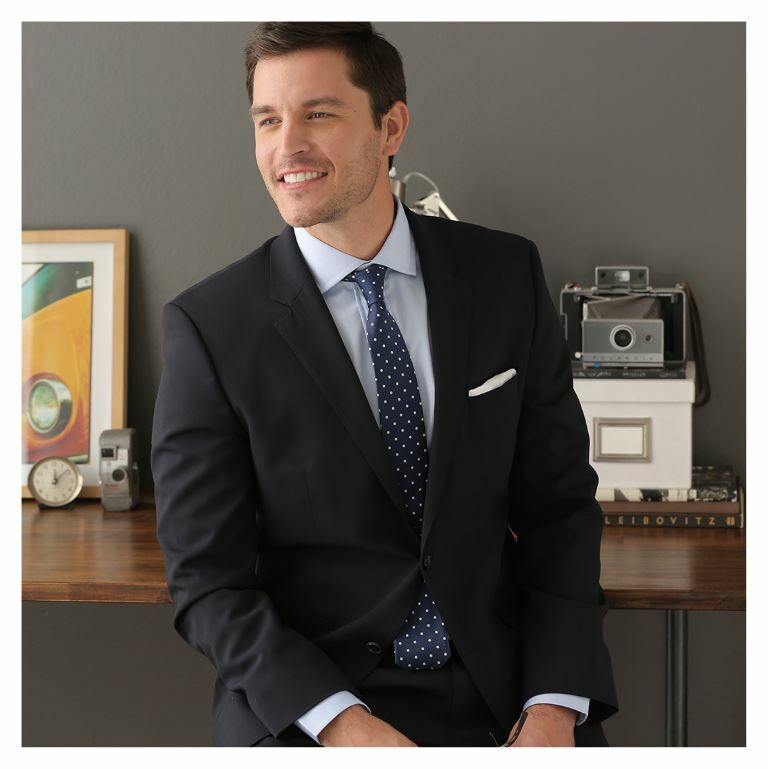 Arrange your personal fitting in our Denver showroom and design your perfect suit. After booking your appointment online, you'll visit with our local staff. We'll take your measurements and review fabric and style options. In about 4-6 weeks, your suit will be complete with the exception of the sleeves and pant length. We'll invite you back to finalize your fit and determine any minor fit adjustments. A few weeks later, we'll finish your suit. Your final measurements will be saved in our systems for simple reordering. 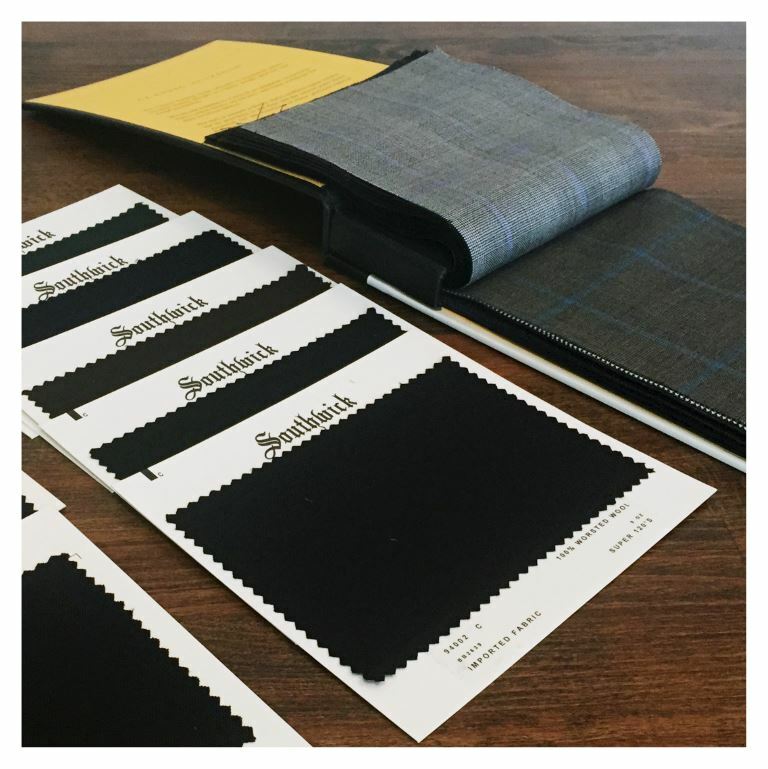 We're proud to partner with Southwick, an American suitmaking institution that has been making suits in Massachusetts for over 85 years. 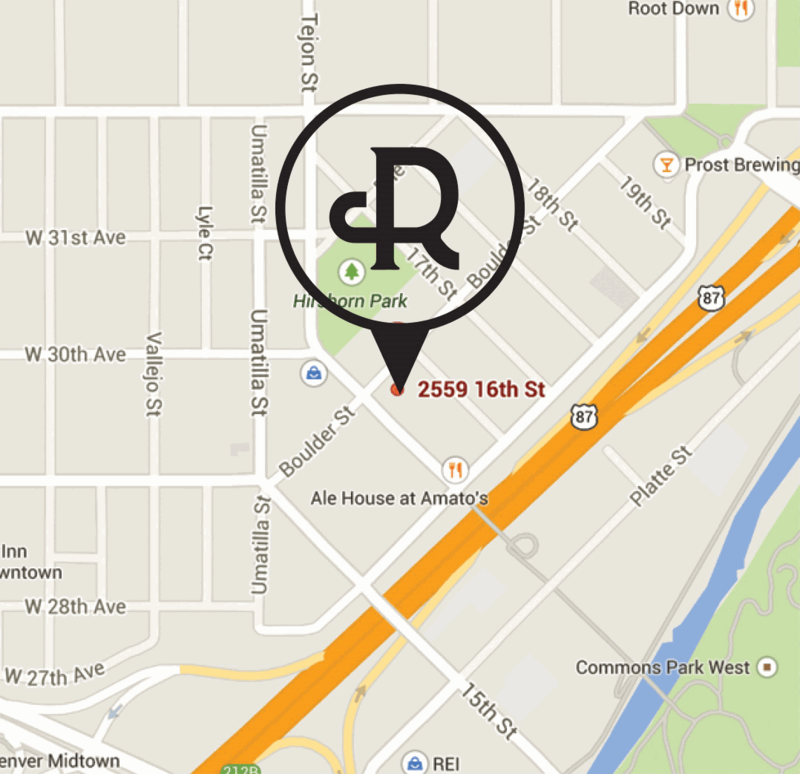 Their focus on craftsmanship and classic American style is the perfect complement to our ethos at Ratio. 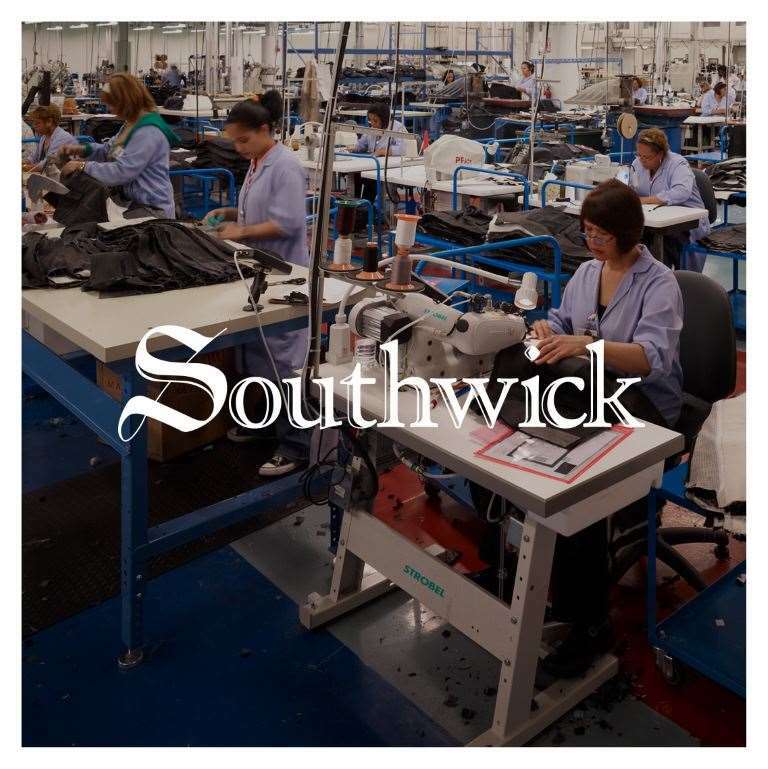 Southwick employs over 300 skilled operators and is one of the few remaining suit factories in the US. Our core suiting range covering comes from the legendary Italian mill, Vitale Barberis Canonico, which has been weaving fine suiting fabrics and remained family-owned for 15 generations. Or, if you're feeling adventurous, choose from an extensive collection of fabrics from cottons, to tweeds, to the finest Loro Piana cashmere. 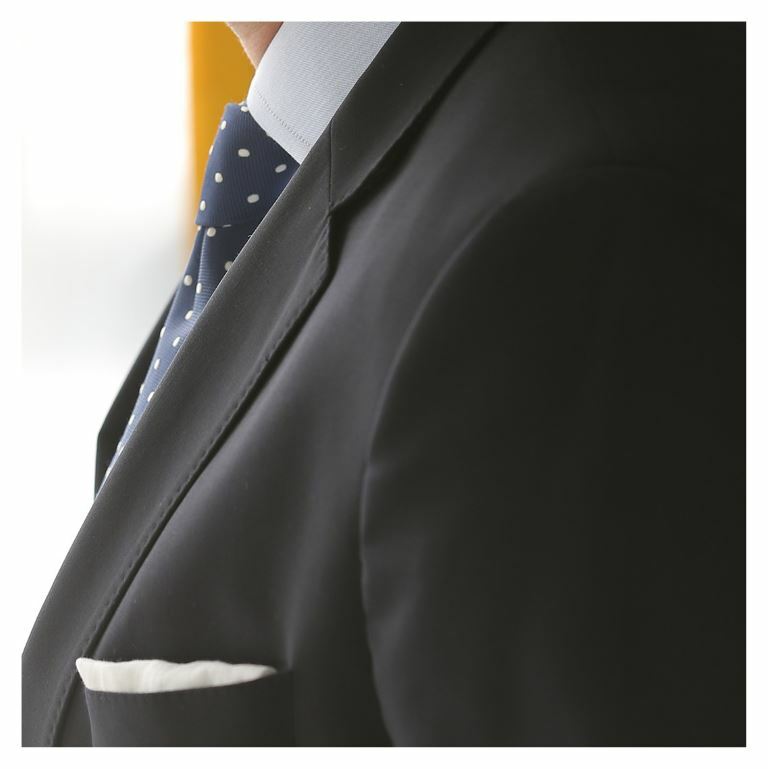 All the details you've come to expect in custom suiting are available. Our signature Ratio model features a natural shoulder, high armhole, and a modern jacket length. We also offer a classic fit model if you prefer a more generous cut or traditional styling. We'll work with you to make sure you're 100% satisfied with the fit of your suit and alterations on your first suit are complimentary. All prices include standard customization options, though some options will incur additional cost. The starting price for each garment category includes most of our fabric range. First-time customers require two fittings and a total time of about 8 weeks for a finished suit. The second fitting with a nearly completed garment takes place 4-6 weeks after the first fitting. Once your size is finalized, new suit orders take 4-6 weeks and do not require a fitting. We've built our national reputation through our custom dress shirts. 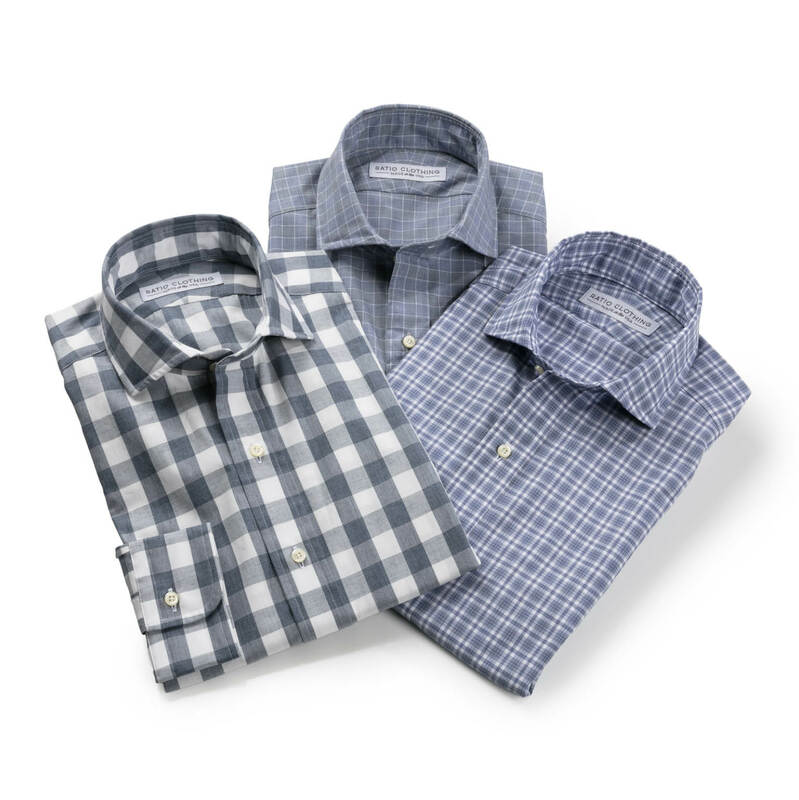 Each shirt is handmade and constructed in the U.S. using the best fabrics from the top mills in the world. While being fitted for a suit, you'll have the option to be fitted for shirts as well.